As May was holding talks in Berlin with German Chancellor Angela Merkel and in Paris with French President Emmanuel Macron, a team of her top ministers were negotiating in London with Labour's Shadow Chancellor John McDonnell and leading shadow ministers from the main opposition party. Media in London reported on Tuesday that European Council President Donald Tusk has written to all 27 EU member state leaders urging them to offer Britain a flexible extension to the article 50 process of up to one year. It would allow Britain to leave at any point within that period. May heads to Brussels Wednesday almost certainly feeling comforted that a Friday no-deal departure deadline has been averted. But the EU is likely to insist on a string of conditions to enable Britain to stay as a member of the bloc while it seeks its elusive departure deal. Article 50 is the EU mechanism that sets a timetable for a country wishing to leave the bloc. May's strategy was boosted by a vote in the House of Commons on Tuesday when MPs voted by 420 to 110 to request an extension of article 50 until June 30, a comfortable majority of 310. The cross party talks in Westminster, looking to break the impasse that has so far blocked the House of Commons finding majority support for a Brexit deal, concluded Tuesday night. Although no consensus has yet been reached between the ruling Conservatives and their rivals, the Labour Party, both said later there was hope of progress being made. The Environment Secretary Michael Gove said the talks with Labour had been open and constructive, but the two sides differed on a number of areas. Labour's Rebecca Long Bailey, who took part in the latest round of talks, said they were hopeful progress will be made. Bailey, who is the Shadow Business Secretary, said discussions with the government will continue in the coming days. A Labour Party spokesperson said after the talks: "We had further detailed and wide-ranging talks with cabinet ministers and officials today. We have yet to see the clear shift in the government's position that is needed to secure a compromise agreement." 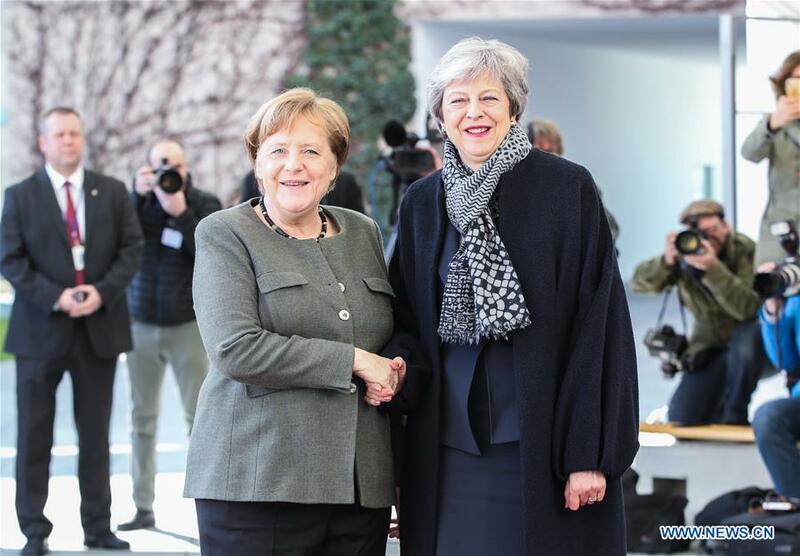 The two sides have agreed to hold further talks on Thursday in an effort to break the Brexit deadlock, and find a compromise that can win support in Parliament and bring the country together, said the spokesperson. Labour is holding out for a consensus Brexit deal that keeps Britain linked in some way to the European Customs Union and the European Single Market. Conservative Brexit-supporting politicians want to ensure Britain is free to strike its own trade deals by leaving the customs union and the single market. Liam Fox, the international trade secretary, sent a letter Tuesday to leading Conservatives that a customs union for Britain would be the "worst of both worlds" and would leave Britain unable to set its own trade policy. In his four-page letter, Fox said: "We would be stuck in the worst of both worlds, not only unable to set our own international trade policy but subject, without representation, to the policy of an entity over which MPs would have no democratic control. This is something that Labour do not presently seem to understand." Fox claimed countries that negotiated new free trade agreements with the EU would have automatic access to the British market with Britain having no reciprocal access. With both sides faced with the prospect of Britain crashing out of the bloc on Friday with no deal, May now looks almost certain to win the crucial delay she desperately needs to give her more time to convince a squabbling House of Commons to back a Brexit deal.